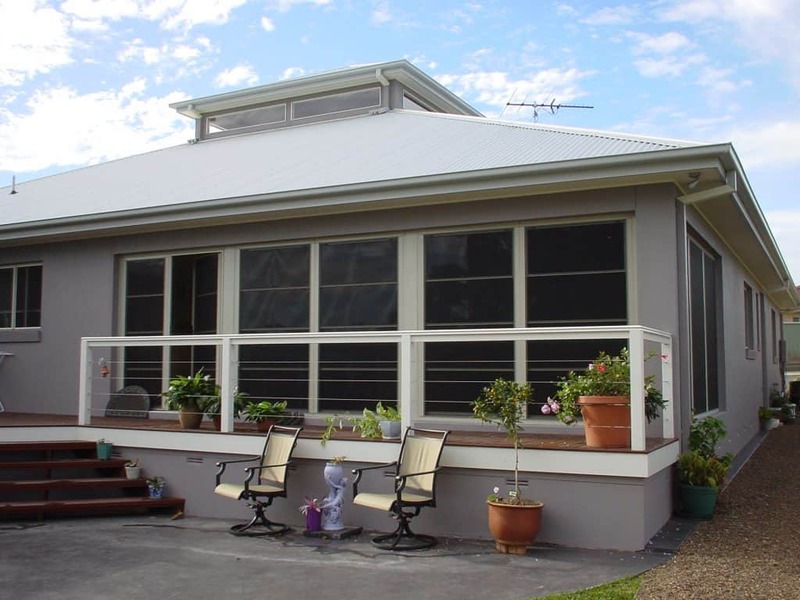 Modern screen rooms (often called Queensland Rooms) for flexible outdoor living. The Paradise Room is an outdoor living space that can be transformed into another room in your home. 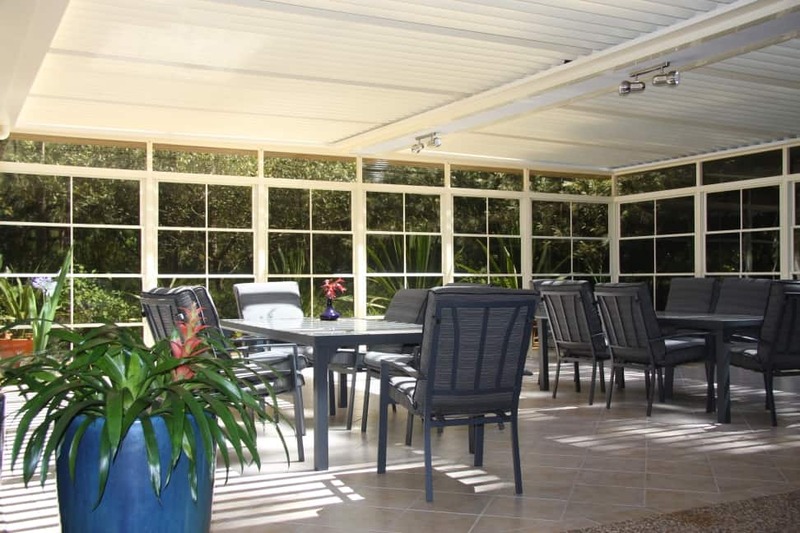 Otherwise known as a Queensland Room, these screened rooms are perfect for outdoor living from summer to winter. Open the door to an amazing room for all occasions. 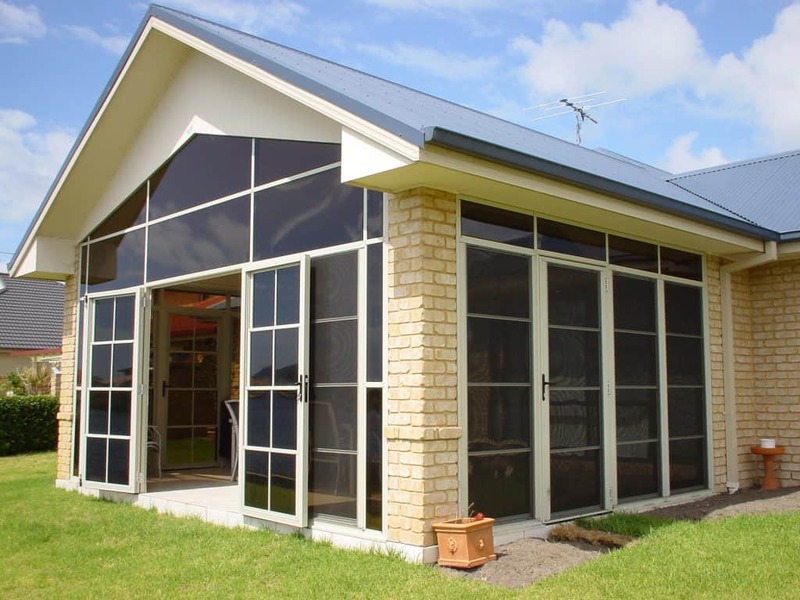 With Paradise units that slide, bi-fold and swing open, you can create a multi-function room. 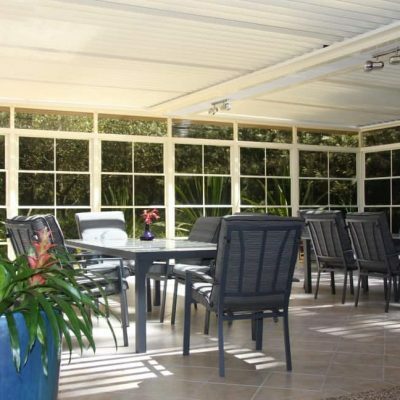 Enjoy alfresco dining or outdoor entertaining while protected from heat, bugs and bad weather. 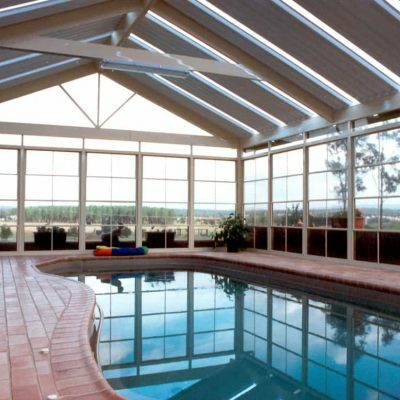 Our Paradise Rooms offer more than double the ventilation of glass rooms with up to 75% airflow when the sliding sashes are wide open and can be closed completed for use as an indoor space. 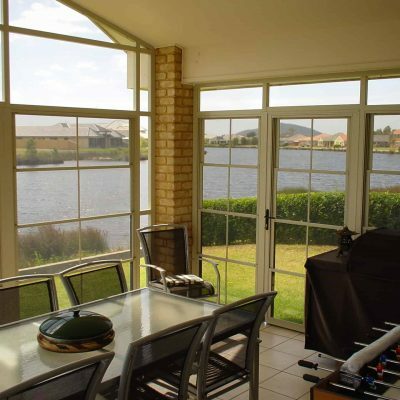 They are also designed to suit family life, with shatter-proof panes providing a safe alternative to glass. 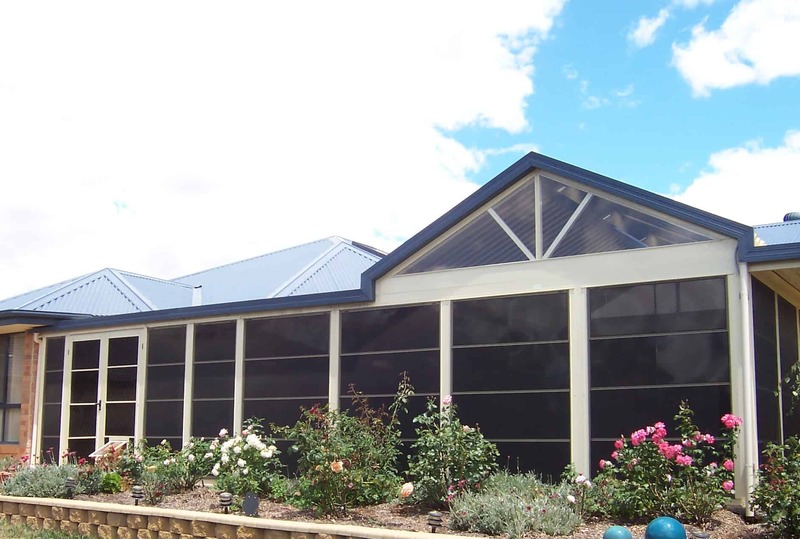 They are incredibly easy to maintain – most windows are almost impossible to clean without removing the insect screen on the outside of the property but our Paradise Rooms have panels that can be unclipped and cleaned using the special Tilt-Out feature. Simply undo the clips at the top of each sash and tilt the panel outwards, to access the outside of the sash. Once you’ve finished cleaning, tilt the sash back up and lock the clips into place. We offer a 10-year guarantee on the Paradise Room when fitted by our experienced tradespeople. Quick and easy to clean, with panels that can be unclipped using the special Tilt-Out feature. 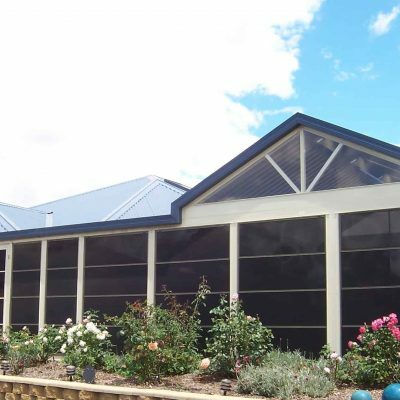 Panels are glazed in Mem-Tek Polymer Film, which is light but tough enough to handle the bumps of everyday life. If knocked, the Polymer Film will not shatter like glass but will absorb the impact and return to its original shape in a matter of moments. Thank you for my wonderful new outdoor area. This whole process has been streamlined and easy and I want to thank you for your patience with my questions, your professionalism and just plain good old fashioned service. It really has been a pleasure dealing with you all. We would just like to say that we’re more than happy with the job the young tradesman has done. 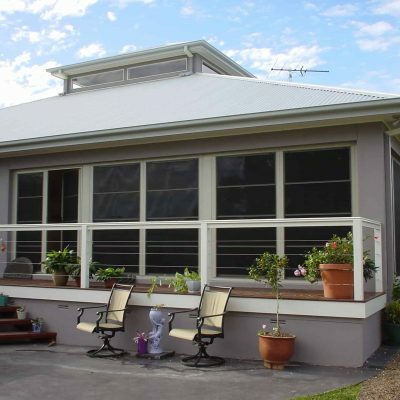 The workmanship is excellent and the worker was polite, friendly and a very helpful young man to deal with. Thank you for the excellent service. 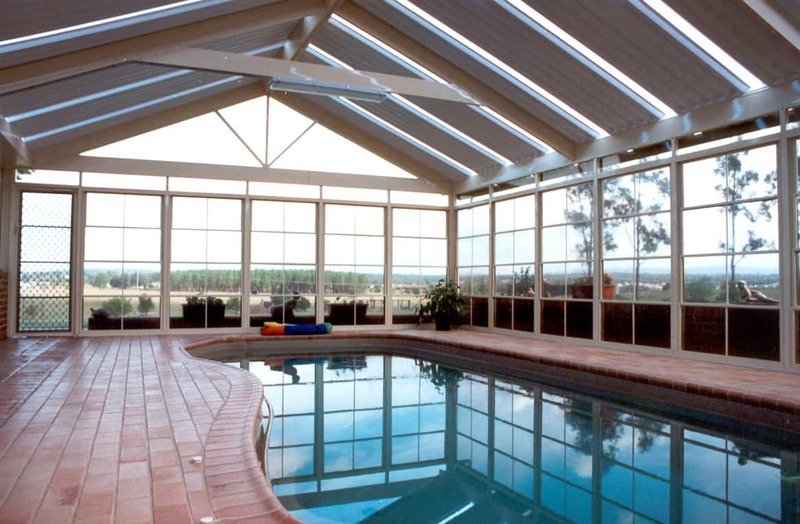 From when we first approached you, till the job was completed, we were more than satisfied. We were also impressed with your installer, who we felt was an excellent and courteous tradesman. At every stage we were told what to expect, who and when would be coming and it happened. It is giving us great pleasure showing off our lovely Paradise Room, it has been like the icing on the cake. 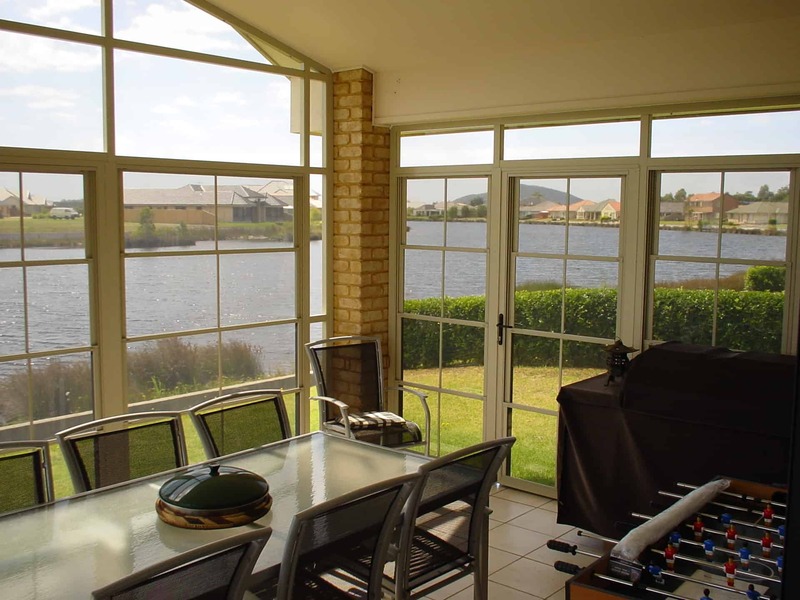 Rather than simply add a Paradise Room to your existing home, we will work closely with you to design an outdoor living space that seems like a natural extension to the rest of your house. From the colour, style and layout of each panel.